As we had already proceeded with the work for Lohit-Tamil as planned earlier, We are now going to announce the release for Lohit-Tamil. 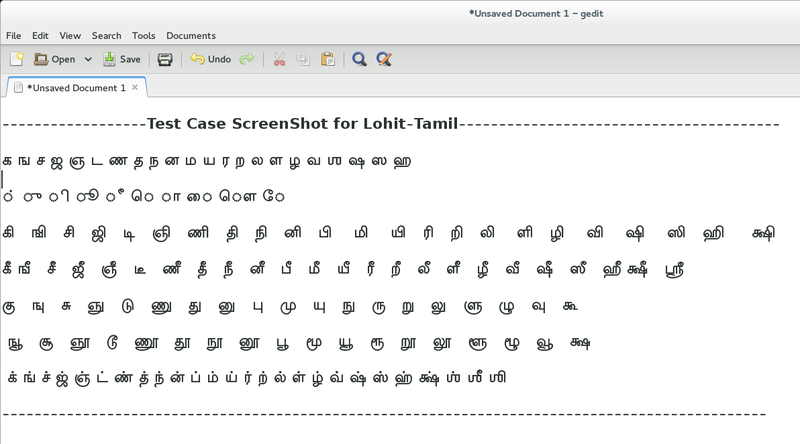 We have done testing of Lohit-Tamil on Linux and Windows8. Here are the screenshots for the same.